Find below the list of top CISCE / ICSE schools in Baramati - Pune with phone number, address, 360° School tours, 2018-19 Admission forms & Fees, photos, facilities & more. Vidya Pratishthan's Bal Vikas Mandir, Baramati is a private Unaided Co-educational English Medium School established in 1972. The school is automatically associated with uncompromising discipline, consistency in academic excellence and above all the dedication of the Management and Staff.The school is recognized by the Government of Maharashtra. 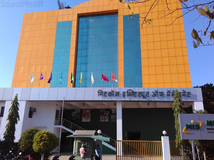 It is owned and managed by the Vidya Pratishthan, Baramati, a Charitable Trust with the main objective of catering to the educational needs of students hailing from rural areas. The students are motivated to express themselves with confidence as they take part in debates and discussions. We emphasize on analytical thinking by developing the ability to comprehend, assimilate and rationalize.The school conducts courses and prepares students for the S.S.C.E (Std. X) Examination conducted by the Maharashtra State Board for Secondary and Higher Secondary Education, Shivajinagar, Pune -5. It is also affiliated to the Council Indian School Certificate Examination, New Delhi. The school takes initiative in providing the all round development of an individual. It boasts its exemplary academic records and extra curricular activities like quizzing, debating, performing act etc. Vidya Pratishthan's Marathi School Baramati Primary is located in Baramati, Pune. It was established in 1993. This school follows the State board. The school has Marathi medium. Vidya Pratishthan's Marathi School Baramati Secondary is located in Baramati, Pune. It was established in 1992. This school follows the State board. The school has Marathi medium. 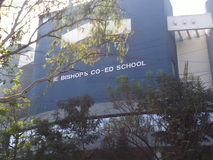 Vidya Pratishthan's English Medium School Baramati Cbse is located in Baramati, Pune. It was established in 1994. This school follows the CBSE board. The school has English medium. 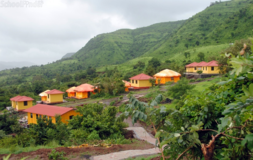 Tuljaram Chaturchand College Baramati is located in Baramati, Pune. It was established in 1962. This school follows the State board. The school has Marathi medium. Dattakala International Secondary School State Board is located in Daund, Pune. It was established in 2010. This school follows the State board. The school has English medium. 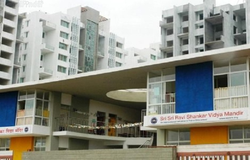 Dattakala International Primary School State Board is located in Daund, Pune. It was established in 2009. This school follows the State board. The school has English medium. Dattakala International Primary School Cbse Board is located in Daund, Pune. It was established in 2006. This school follows the CBSE board. The school has English medium. Although there are many top CISCE / ICSE schools in Baramati - Pune it is not necessary that each one is suited to your child's needs. That is why you need to analyze and consider every factor about the best CISCE / ICSE schools in Baramati - Pune before settling for one. Sqoolz's list of best CISCE / ICSE schools in Baramati - Pune makes this job easier for you. Find every detail that is necessary before choosing the right school. You can also take our virtual tour, a feature solely designed to give parents a sense of assurance.